An ambitious plan to drive environmental compliance at Scotland’s landfill sites, harness innovation and help the sector responsibly manage site closures and aftercare has been launched by the Scottish Environment Protection Agency (SEPA). SEPA’s Landfill Sector Plan is one of 16 sector plans being launched this year in line with the regulator’s One Planet Prosperity strategy. This reflects that, if everyone in the world lived as we do in Scotland, we would need three planets. There is only one. 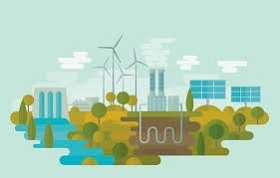 In response to mounting scientific evidence about climate change, resource scarcity and security, the sector plans set out a range of actions to help all regulated businesses meet – and go beyond – their compliance obligations. “This plan is ambitious,” says SEPA chief executive Terry A’Hearn. “It spells out how we will use our full suite of regulatory powers, including the creation of a new national enforcement team, in clearer and more powerful ways. It also sets out some new ways such as novel partnerships that we will develop and use to support innovation and transformation in this sector. There are currently 55 operational landfill sites and 217 non-operational sites regulated by SEPA in Scotland. Scotland’s landfills provide a waste management solution for the disposal of around 4 million tonnes of waste each year. Over the next three years, SEPA expects to see between 1.3 million to 2 million tonnes of waste a year move from landfill as a result of the Scottish Government’s 2021 ban on the landfilling of biodegradable municipal waste. Scotland’s globally ambitious circular economy strategy aims to safeguard resources for re-use, recycling and re-manufacturing in Scotland. Doing so will increasingly negate the need for landfill and the Scottish Government’s target is that by 2025, only 5% of waste will be disposed of via landfill. All businesses that SEPA regulates in a sector use water, energy and raw materials to produce the products and services they sell. In doing so, they also create waste and emissions. Sector Plans aim to systematically identify the compliance issues that need to be tackled by sector – and help identify the biggest opportunities to support sectors in going beyond compliance. In its Landfill Sector Plan, SEPA sets out a number of actions to improve compliance – and to go beyond compliance to help Scotland achieve its circular economy ambitions. Focusing regulatory effort, including enforcement interventions, at sites with the worst compliance records and those with greatest community impact. Supporting operators to prepare for the ban on landfilling biodegradable municipal waste from 1 January 2021 and the target of no more than 5% residual waste to landfill by 2025. Working with operators to ensure that all extractable landfill gas is utilised or, where this is not technically feasible, converted into less harmful gases. Identifying opportunities to help the landfill sector to develop and share best practice examples that support compliant operations. Developing effective intervention strategies to disrupt and deter illegal activity in partnership with Police Scotland, local authorities, industry trade bodies, other UK environment agencies and other relevant partners. Working with partners to support development of alternative products for landfill engineering, potentially reducing the reliance on virgin quarried clay. Developing a forum for businesses to work in partnership with SEPA and other stakeholders to consider the sources of the energy used, with the aim of moving away from fossil fuels. Working co-operatively with the landfill sector, communities and other partners to promote and develop sustainable land uses for restored landfills. Read SEPA’s sector plans here. A waste industry expert has told ENDS Scotland will be forced into sending up to a million tonnes of waste each year to English landfills because it does not have alternative options for dealing with the extra waste arising from its 2021 landfill ban on biodegradable waste. Stephen Freeland, policy adviser at the Scottish branch of the Environmental Services Association (ESA), told ENDS that estimates from the Scottish government had found there would be a 950,000-tonne capacity shortfall. "Almost a million tonnes that has got nowhere to go," he said. "Really we are looking at landfill in England – and there is nothing in the regulations to stop it – as potentially the only practical route until such time as the capacity gap in Scotland is closed," he said. The comments come after the Convention of Scottish Local Authorities (COSLA) published minutes of a meeting between the association’s environment and economy board this week. COSLA said: "As it stands, it seems unlikely that the 2021 ban will be fully achievable. Work on delivery and on possible solutions will continue with future reports to the board likely." COSLA says in the board document that it is working to establish a "realistic suite of options" that would enable all councils to meet the ban. The Scottish government confirmed to ENDS that it was pushing ahead with the landfill ban, despite these concerns. A spokesperson said: "We are committed to fully enforcing the ban on biodegradable waste to landfill as part of our commitment to a more circular economy. SEPA, Zero Waste Scotland and Scottish government officials are working closely with councils to help them prepare for the ban, and will provide comprehensive guidance to help authorities plan properly for the implementation of the ban." The Scottish government says the main alternative to landfill is energy-from-waste, but there is currently only about 100,000 tonnes of EfW capacity in Scotland. A number of Scotland-based EfW facilities should come into operation in the next few months. 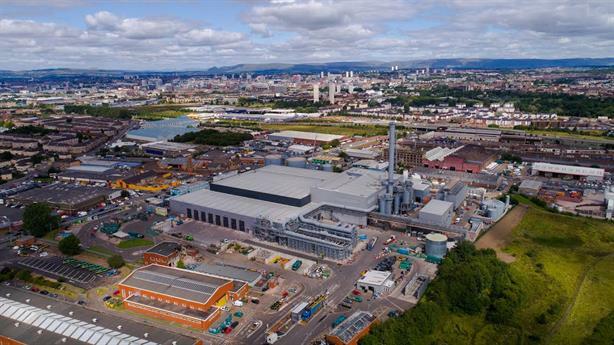 Viridor’s Glasgow plant is "ramping up" after completing steam blowing last month, while its Dunbar EfW plant is also close to being officially operational. Germany-based MVV also started construction work on new plant to serve Dundee during the summer, although that is expected to replace an existing facility rather than adding new capacity. Suez also said in September its under-construction Haverton Hill EfW plant in the North of England could take Scottish waste. Another option the Scottish industry could explore is exporting the waste as refuse-derived fuel to mainland Europe for energy recovery. However, Brexit and the resulting unfavourable exchange rates leave a big question mark over how viable this route would be, according to Freeland. "There is no option but to send the waste elsewhere," he said. Freeland added that the Scottish government hoped landfilling in England would be a short-term measure but he said it would be "years" before the capacity gap was closed. England faces its own problems with waste treatment capacity. The latest waste management figures from the Environment Agency, revealed an increase in landfilling for the fourth year running and a continued decline in landfill capacity. This is combined with concerns that Brexit might hamper England’s waste exports to Europe and China closing its doors on waste imports. Infrastructure investor, Equitix, and environmental investment firm Iona Capital, have announced the planned development of a £72 million energy from waste facility in Bridgwater, Somerset. The 7.7MW Resource Recovery facility will process around 100,000 tonnes of commercial and municipal refuse derived fuel (RDF). Construction is expected to start in Q1 2019 and the plant to begin commercial operation in 2021. Waste will be supplied by Geminor UK Limited – a leading exporter and supplier of Refuse Derived Fuel – under a long-term waste supply contract. The project will be delivered under a turnkey design and build contract with STC Power SRL – a specialist in the supply of small-scale thermal energy plants. The company has delivered 20 facilities since 2001. Pinnacle Power Limited has been appointed as the operations and maintenance contractor. Pinnacle Power is part of the Pinnacle Group and is a provider of construction and operations services for district heat and power projects. According to Iona Capital, the facility is based on the conventional combustion of RDF with heat recovered via a boiler to generate power from a steam turbine. The grate use technology was consented earlier this year. The facility has secured a 15 year power purchase agreement with electric utilities firm, Engie. Developer Bridgwater Resource Recovery secured planning permission for the facility in January 2015. Once completed, it will employ up to 25 full-time staff. Based in London, Equitix describes itself as a leading investment firm that manages over £3 billion. The firm’s investment strategy focuses on small to mid-cap infrastructure projects, predominantly located in the UK, covering a range of sectors with a focus on social infrastructure and renewable energy. Iona Capital has managed funds on behalf of institutional pension funds and invested these in long term projects within the UK bio-energy and low carbon markets.. It has offices in London and York.